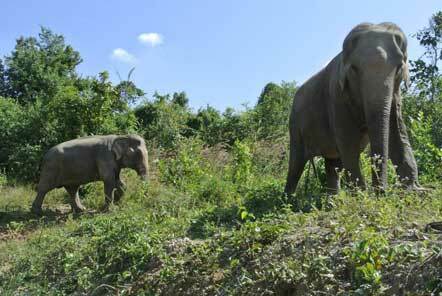 If you are asking yourself, ‘how can I help elephants in Thailand?’ then this is the volunteering opportunity for you! The Elephant Care project in Thailand enables volunteers to support the vital work the centre is doing in rescuing elephants from places where they have been mistreated or experienced neglect, and provide a sanctuary for them to live in and spend the rest of their lives. 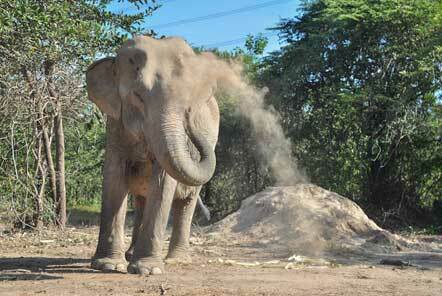 There are usually 10-20 elephants on site at the centre as part of the Elephant Care programme. 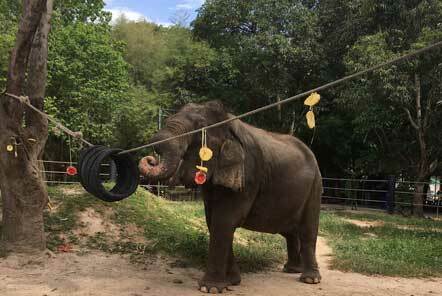 Elephants in Thailand, both wild and domesticated, are now struggling for their survival. A century ago there were over 100,000 elephants in Thailand (both wild and domesticated), however it is now estimated that there are only approximately 2,500 captive domesticated elephants left and around 1,000 in the wild in Thailand’s forests. The wild population is in decline because of habitat destruction, poaching for ivory, and the slaughter of mother elephants to harvest their calves for domestication. Since logging is now a banned industry, elephants have lost a lot of their economic value and as such domesticated elephants are increasingly mistreated, underfed and neglected. Following the ban on logging, many mahouts (elephant owners / trainers) turned to tourism; making a living from elephants as tourist attractions or begging on the streets of big cities. The city is a harsh environment for such a large forest animal and they are under constant threat of road accidents, pollution and the scorching heat which can be fatal to a large mammal such as an elephant. The government tries to discourage the elephant owners from exploiting the animals in this way, however the only official law towards this was passed in late 2014 and so far action has been limited. 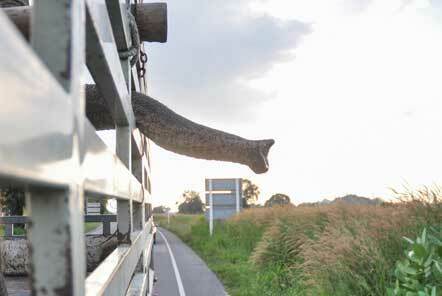 The biggest problem is simply that there is nowhere else for the elephants to go, and therefore no alternative but to continue this practice. The centre provides an alternative career for the mahouts, providing them with a wage and accommodation in return for their work caring for the elephant in an open environment. 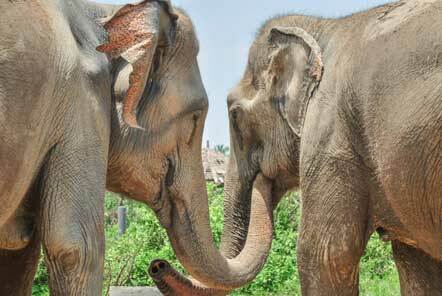 The centre may also ‘buy’ elephants from mahouts in order to remove them from the streets. 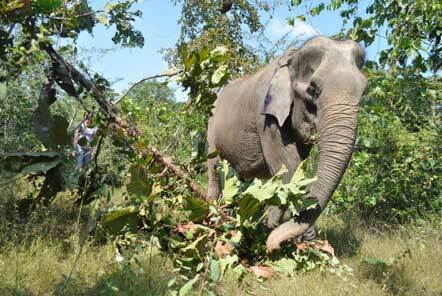 The elephants now get to spend their days on natural ground, breathing good fresh air, eating as much as they like, with the company of other elephants and having the care of experienced mahouts and veterinary staff. Elephant training is among the oldest jobs in the world. In the past and still today, a single mahout is assigned to each animal, forging a close bond that often lasts for life. In the past the job of a mahout was a hereditary profession often extending over several generations and bringing a certain social status with it. At present however, this is a lot less common and essentially the job of the mahout is to earn a living from the elephant, which too often results in the elephant's exploitation. The real value of a mahout lies in the understanding and knowledge of the animal. A good mahout is able to see when an elephant is in a good or bad mood, to know their temperament or potential triggers. They often communicate with their elephant e.g. by vocal command or nudging its ears. The mahouts’ ability to speak English is quite limited but we would encourage you to interact with them as much as possible. The support that volunteers provide the centre is crucial to ensure that every elephant receives the optimum level of care. Despite every elephant having a dedicated mahout, they are overstretched due to the scale of the work and daily care tasks – the help from volunteers is so valued as it enables the team to meet their care aims but also to focus on other vital tasks such as animal rights campaigning and education. Volunteers bring with them a variety of skills and ideas which are so useful when creating new and exciting enrichments for the elephants! For volunteers staying longer than two weeks you could consider combining the Elephant Care role with the Wildlife Rescue role based at the same centre.